Your Culinary Experience in Umbria, Italy! If you are in holiday in Umbria and Tuscany but you don’t have time for a full culinary vacation, we offer an Half Day cooking class. It will make your vacation unforgettable! Our cooking classes begin at 9.30 a.m., are generally about 3 to 4 hours long and include the preparation of a multi-course meal, which you enjoy with our wine at the end of the lesson. 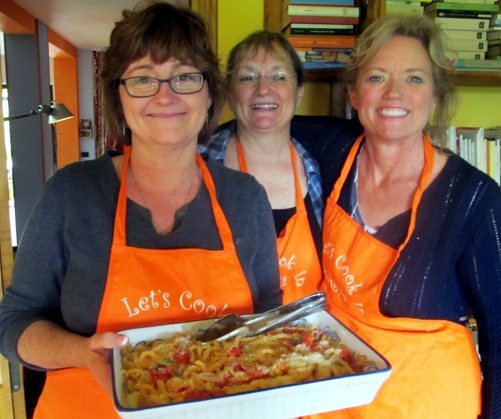 Our cooking classes are totally hands-on. The English speaking teacher will teach you traditional Italian techniques of cooking and the history of each recipes! In the farmhouse there is a luxuriant organic vegetable garden where grow the vegetables used in our classes. Extra virgin olive oil and organic red wine are totally produced in the farm. The other ingredients are purchased in local markets. Our guests get to prepare from scratch a complete meal consisting of 4 courses: appetizer, first course, main course with side dish and dessert. After the lesson people will reap the fruit of their labor by enjoying the delicacies they created complemented by the estate’s own red wine. The Cooking Classes are informal. The teacher is flexible and willing to add those special dishes that you have always wanted to learn how to make. 9.30 am Arrive in the country farm “la volpe e l’uva” in Perugia. Raffaella will introduce you in her home and present the day’s menu. She will teach you how to make delicious Umbrian/Italian recipes. 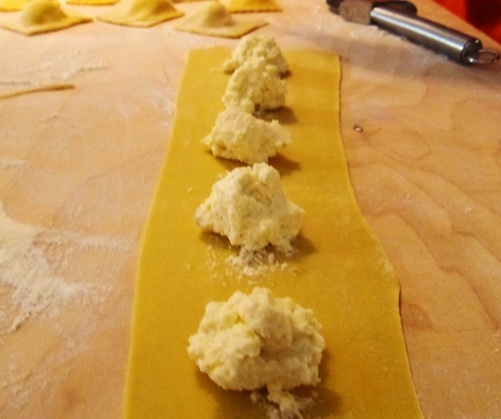 You will learn the basic skills necessary to prepare authentic Italian dishes (hand-made pasta , gnocchi, strangozzi, desserts and sauces for example)! You will proceed with the hands-on preparation of your lunch, from starter to dessert, wine, water and liquors included! All the Recipes come from the Umbrian tradition. 12.30 Enjoy the fruits of your work! Eat the foods that you just created complemented by our wine and our extra virgin olive oil. Class can be confirmed any day of the week. The maximum number of participants is 8 people so you will have a guaranteed space in the class. It is also possible to bring a non-participating partner who can spend the day enjoying the surroundings, and could then join the group at lunchtime. Upon request, we can also arrange for you to be picked up from your accommodation in Umbria. If you are a solo traveler, send us an inquire we can discuss which classes we have already confirmed for your travel dates! If you need accommodation in the apartments of the farm, write me. If you are interested in cooking class + half day gourmet tour (wine, truffle, chocolate) visit the page ONE FULL COOKING DAY. For larger groups, up to 20 people, cooking demonstration have proved to be a great alternative way to learn about the Italian cuisine, wine and life style. Send me a message to have our best rate!